As preparation for Goodwood was under way, Second Army launched two preliminary operations. 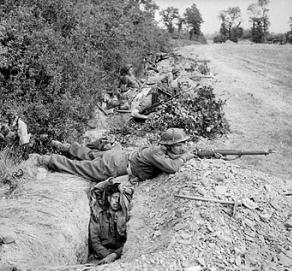 The purpose of these operations, Montgomery stated was to "engage the enemy in battle unceasingly; we must "write off" his troops; and generally we must kill Germans". Historian Terry Copp has described this being the point where the Normandy campaign became a battle of attrition, one in which Montgomery was doing his best to ensure that the Germans collapsed first. Operation Greenline was launched at 2130 hours on 15 July by XII Corps. Greenline's objective was to convince the German command that the expected assault would be launched west of the Orne river though the positions held by XII Corps. This would pin the 9th and 10th SS Panzer Divisions, facing XII Corps so that they could not be used to oppose either Goodwood or Operation Cobra. The operation called for XII Corps to secure a corridor to the Orne River via Bougy, Évrecy and Maizet. Like Operations Epsom and Jupiter, the fighting would take place around Hills 112, 113 and the village of Gavrus. The 277th Infantry Division and 10th SS Panzer Division, both under the command of II SS Panzer Corps held the front line, with the 9th SS Panzer Division in reserve. The British attack, supported by 450 guns, tanks, artificial moonlight, started well but German artillery fire disrupted the advance. By dawn XII Corps had captured Bougy, Gavrus, Esquay-Notre-Dame and the western end of Hill 113 but had failed to capture Hill 112. 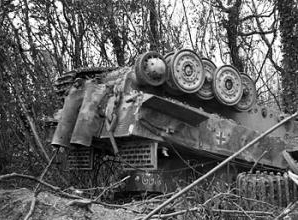 The 9th SS Panzer Division was committed to battle and by the end of the day had mostly restored the front line. The counterattack against Hill 113 failed. The 53rd (Welsh) Infantry Division captured Cahier and retained it after defeating several heavy counterattacks. 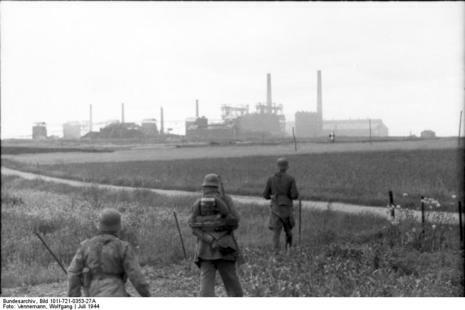 Renewed attacks by XII Corps gained no ground and during the evening of 17 July, the operation was stopped and the British force on Hill 113 was withdrawn. 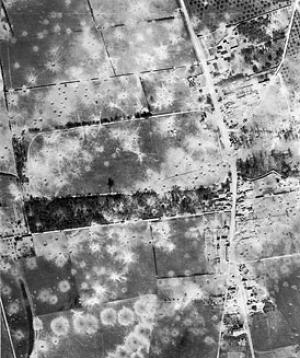 The Second Battle of the Odon was a series of operations fought by the British Army in mid July 1944 against the German Army as part of the Battle of Normandy. The two operations launched, Greenline and Pomegranate, were designed to draw German attention away from the upcoming assault, out of the Orne bridgehead, codenamed Goodwood.